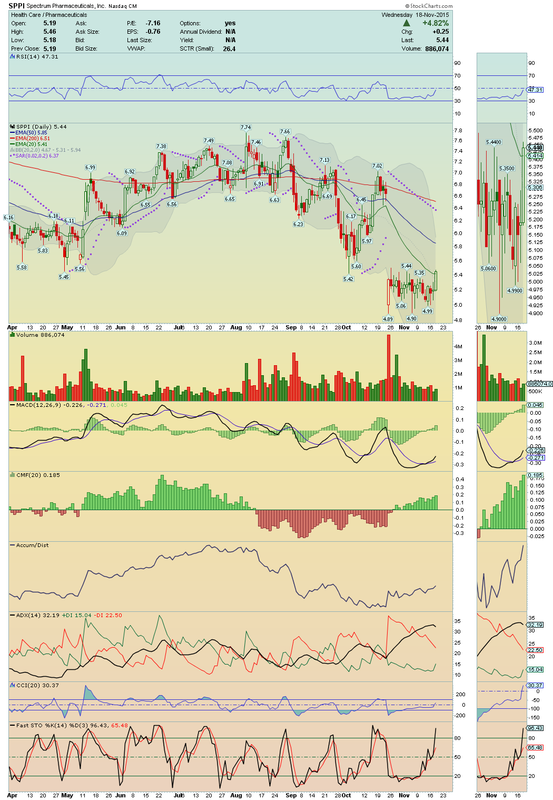 ARRS ---> Could make a nice squeeze on the break above $29.77!! 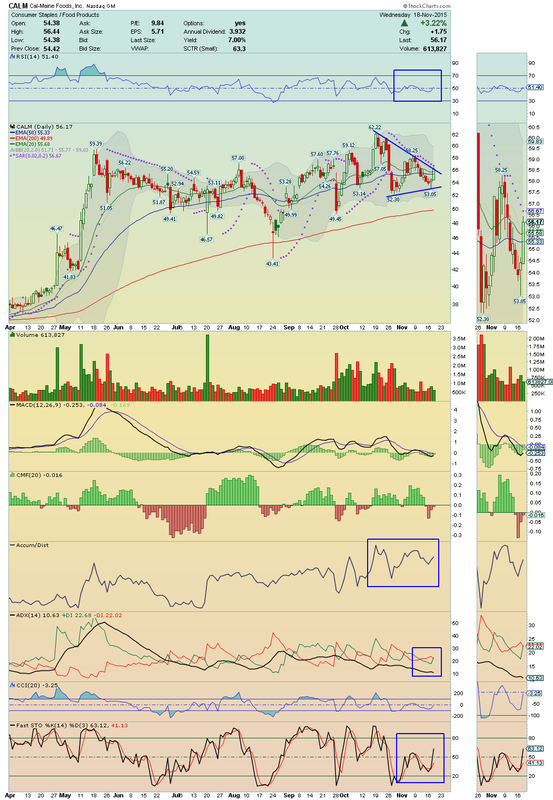 Chart emerge strong, with price crossing up above its Symmetrical Triangle and above its 200EMA!! Also it closed the regular trade session at High of the Day, which means, that it is a Gapper Candidate!! Technical indicators are showing strong Buy Signals!! Stay Tuned!! 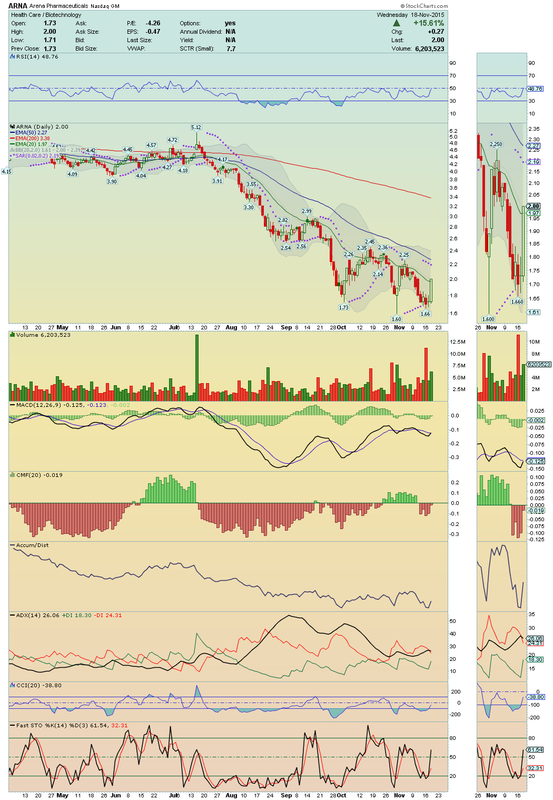 ZNGA ---> I´ll be watching for a break above its 200EMA!! 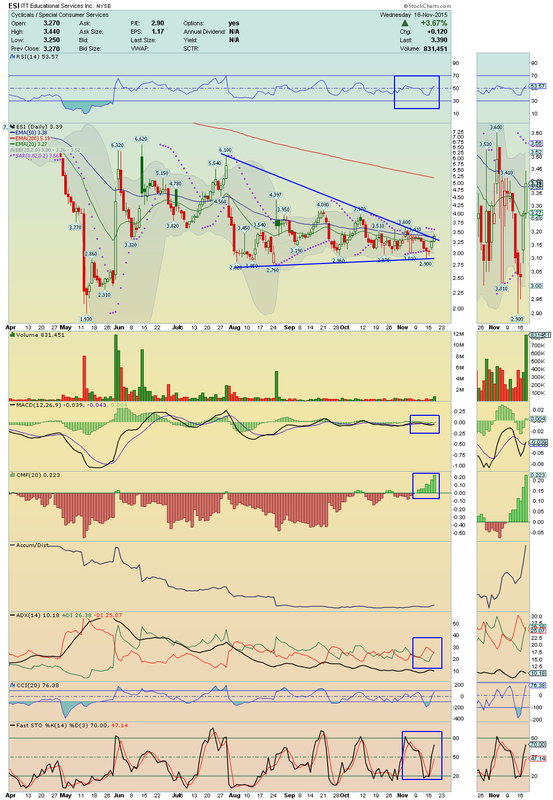 On volume, this setup could make a strong run up toward $3.00´s!! Gapper Candidate!! SPPI---> This Bottom Player is ready to Soar!! 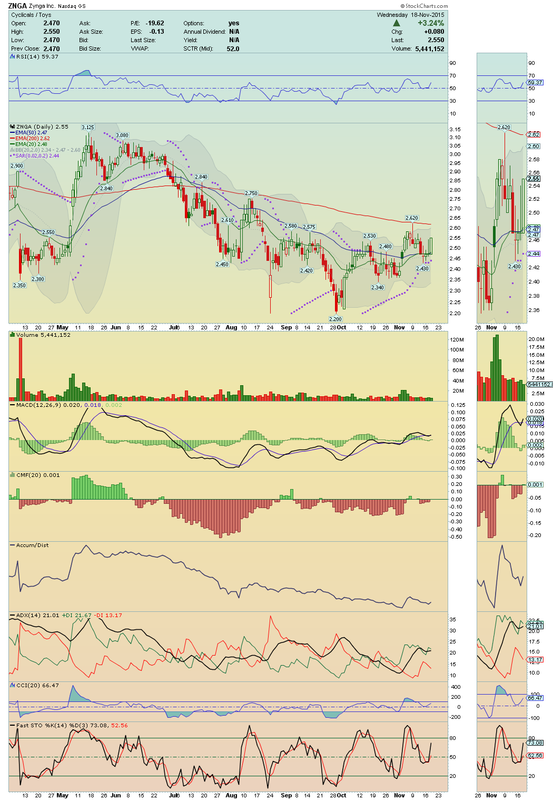 It made a strong breakout with decent volume, crossing up too, its 20EMA!! 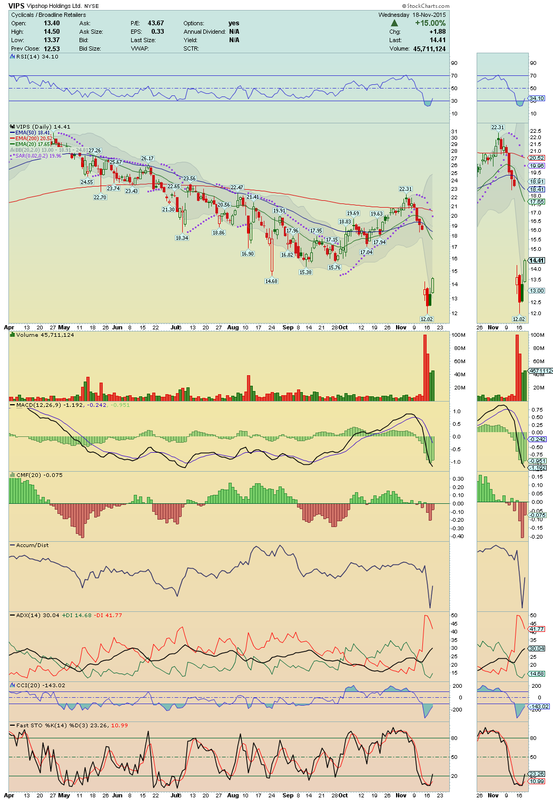 Chart indicators are displaying strong positive divergences, which could mean, that Buyers are back!! It has a big Gap to be Filled, has 27.09% of Short Players that can start to get very nervous, and so, we could get here, a nice Big Run!! $5.85 could be the next stop!! 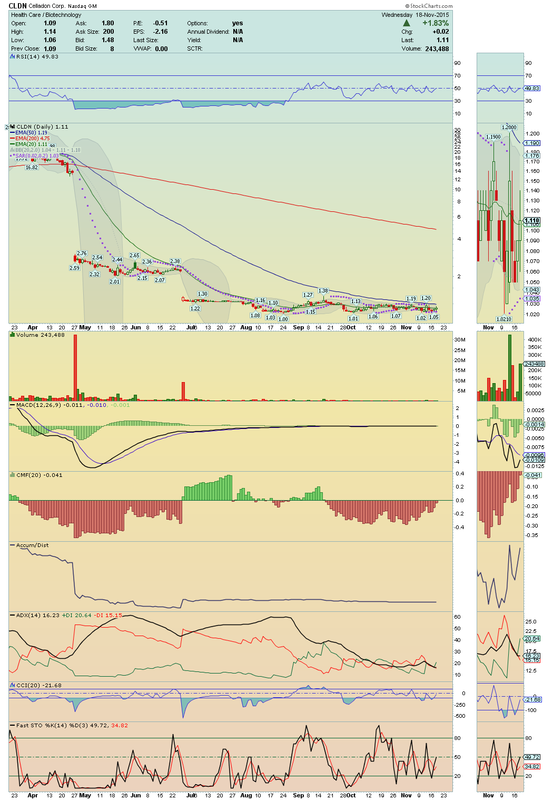 ARNA ----> It made a strong squeeze on volume from its Bottom, crossing and closing above its 20EMA and on High of the Day!! I´ll be watching for continuation of this Upside Run!! Its 50EMA could be reached easily!! ESI ---> After two great trade sessions with high bullish volume, this setup is now in breakout mode with strong positive divergences on chart!! Buyers seem to be back and so, its almost 50% of short players could start to get very nervous giving rise to a huge Short Squeeze!! 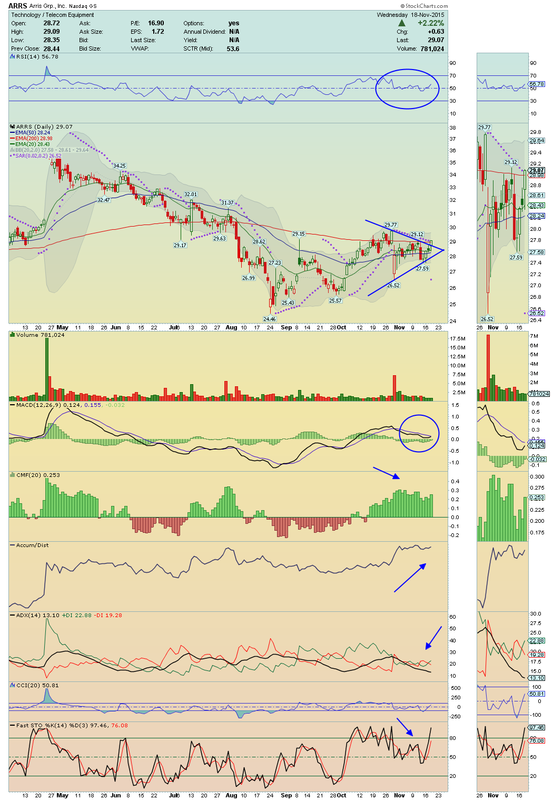 Long Idea over $3.44!! VIPS ---> Trading now inside of its Big Gap, shares of VipShop rose 15% of pure Bullish sentiment, with the second day of High Volume! As we can see, Investors seem confident!! I´ll be watching for continuation, as it looks poised to Fill this Gap very soon! !